Over the past weeks, over 2,000 minors were separated from their parents/guardians at the southern border of the United States. Disturbed by the images and reports of children separated from their parents, people across the country and around the world are asking, “How can I help?” Here we outline the immediate needs and ways donors can help. The greatest immediate needs are legal, and they are many and varied according to Ayodele Gansallo, Penn Law School lecturer and senior staff attorney at the Pennsylvania office of HIAS, a nonprofit with a 130-year history of providing humanitarian aid and assistance to refugees. “Although many families are fleeing violence and under international law should be able to enter the US legally to claim asylum, most are being arrested for illegal entry, which is a criminal offense,” says Gansallo. She points out that the sheer volume of defendants has strained resources for public defenders to represent adults placed in criminal proceedings, and the families themselves lack the resources to hire their own lawyer. According to David Rubin of the Children’s Hospital of Philadelphia, “The science on the lasting mental and psychological health impacts from the kind of toxic stress a child experiences after forced removal from their parents is irrefutable.” Although there is an existing system of shelters for unaccompanied immigrant children, it is not clear that these shelters have sufficient capacity and resources to meet the needs of a large influx of traumatized children. Children awaiting resolution of either their own or parental immigration status may do better with a foster family, but the foster care system in many localities is also similarly overwhelmed, with not enough families willing to become foster parents. Reuniting separated parents and children can be complicated by the fact that they are in different systems, with different tracking and processing timelines. Emily Arnold-Fernandez of Asylum Access also notes that many of those fleeing persecution and violence in Central America are unaware of the resources and options available to them both in Mexico and the United States. “That is one of the reasons Asylum Access works within Mexico, helping these refugees understand their options,” she says. What can donors do to help? As with other humanitarian crises, the needs of the populations at the border will go through different phases, especially after the initial media and donor attention dies down. All four phases of relief – response, recovery, preparedness, and risk mitigation – provide an opportunity for philanthropy to make an impact. Here we focus on the known, immediate needs. 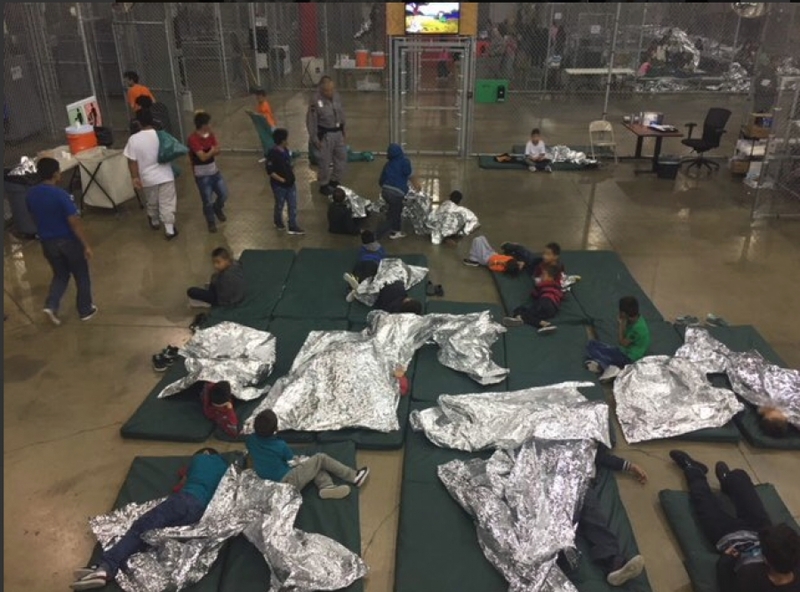 Center for Human Rights and Constitutional Law has been granted two days to interview 1,000 children being held at Casa Padre in Brownsville, Texas, July 12-13. Immigration lawyers and interpreters are especially needed, in addition to medical and mental health professionals. RAICES has been working in Texas since 1986 to provide free and low-cost legal services to immigrant children, families, and refugees. With six offices across the state, RAICES staff provide consultations, direct legal services, and representation, even after clients leave Texas. Financial support to these two organizations can help to defray the cost of travel for volunteers that may not otherwise be able to provide their time and expertise. The Hispanic National Bar Association provides grants to attorneys to defray the costs of legal representation for immigrants, including detained bond hearings and asylum cases. Their Immigrant Legal Defense Fund reviews applications and renders decisions within just 7-10 days. In addition, HNBA provides education on recent immigration-related policies and general training to assist immigrant communities. Immigrant Defenders provides defense services to nearly 600 immigrants annually and also provide legal education classes and screenings for approximately 1,300 unaccompanied children each year. CARA, a collective formed by the Catholic Legal Immigration Network, the American Immigration Council, the Refugee and Immigrant Center for Education and Legal Services, and the American Immigration Lawyers Association, provides detained families with pro bono legal representation. KIND staff and pro bono attorney partners nationwide represent unaccompanied immigrant and refugee children in their deportation proceedings. HIAS (Hebrew Immigrant Aid Society) & HIAS PA work to protect refugees and help them rebuild their lives. Asylum Access has been working in Mexico since 2015. Through five offices across the country, the organization devotes its efforts to making refugee families aware of their choices and rights. With competing narratives in the media and a constantly changing policy situation, it can be easy to get overwhelmed, confused, and ultimately reluctant to act. Grantmakers Concerned with Immigrants and Refugees (GCIR) compiles what’s happening around the country and also connects funders with others to share what they’ve learned. Last week, they published Philanthropic Strategies to Support Refugees and Asylum Seekers profiles a wide range of donors’ strategies with key lessons learned from their experiences. We will continue to monitor the situation and provide updates, including both near and longer-term strategies for donors to help. Special thanks to Ayodele Gansallo, adjunct lecturer at the Transnational Legal Clinic of the University of Pennsylvania Law School and senior staff attorney at Hebrew Immigrant Aid Society of Pennsylvania (HIAS PA); David Rubin, director of PolicyLab at Children’s Hospital of Philadelphia and professor of pediatrics at the Perelman School of Medicine at the University of Pennsylvania; Emily Arnold-Fernandez, executive director of Asylum Access; and Sarah Martinez-Helfman, president of the Samuel S. Fels Fund and member, Grantmakers Concerned with Immigration and Refugees (GCIR), for their insight and expertise.